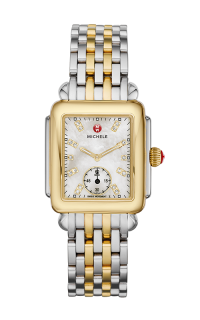 Inspired by the geometric shapes of Art Deco architecture, the Deco 16 Gold timepiece embodies clean, sophisticated style. 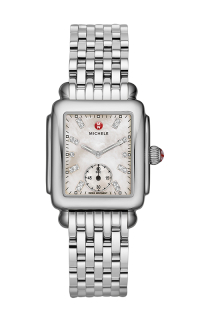 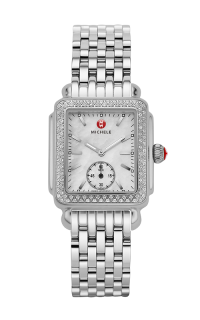 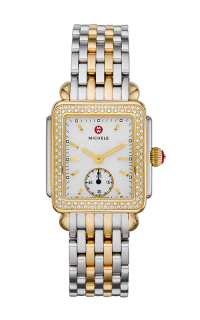 The mother of pearl dial is adorned with diamond hour markings and the signature red MICHELE crown accent this stunning timepiece. 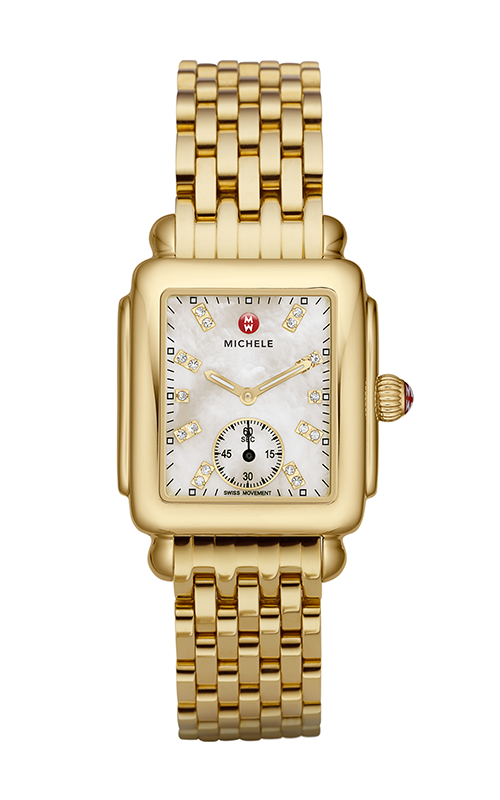 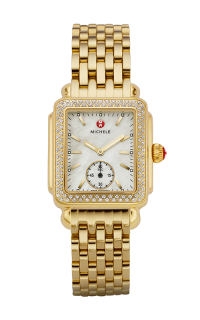 The gold-plated stainless steel bracelet is interchangeable with any 16mm MICHELE strap.